In a previous post, I mentioned the amazing benefits of papaya both for the adults and children. Here, I'll like to show you cool medicinal benefits of papaya and how you can use each of the part (seeds, leaves, peels) to cure a disease or heal a wound/scar. You'll be surprised by the numerous things your regular papaya can do for you. Do you even know that papaya is one of the top anti-cancer foods? Very good for controlling dandruff? Cures nausea and morning sickness? Many of us don't know that Papaya is one of the best super-foods we tend to think little of and so we don't see it more than a regular fruit for appetizer. Well, I guess that's going to change now after you get to see all the properties and benefits of your papaya. 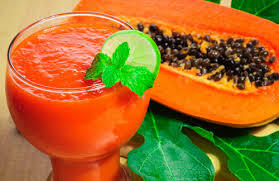 - Raw: You can enjoy raw papaya to take advantage of its various nutrients and rich flavor. However, keep in mind that as papaya ripens, the amount of enzymes dwindles. - Ingredient: You can enjoy papayas exotic taste and healthy nutritional properties as an ingredient in various preparations, such as salads, stir fries and smoothies. - Supplements: Papaya supplement pills contain high and standardized amounts of papain, acting as an easy and effective aid for healthy digestion among others. Here are the amazing powers of each part of the papaya. Anti-parasitic action, anti-bacterial action, helps body digest protein, contains chymopapin which both protect the body from inflammation and help heal burns and reduce scars. The papaya seeds also contain high levels of proteolytic enzymes like papain which can help rid your body of parasites and may also break down their eggs. The seeds are reported as an effective treatment for liver cirrhosis. One method is to grind up 5 dried seeds in a pepper grinder, or crush fresh ones and mix them with a tbspn of fresh lime juice. Drink 2x a day for a month. The seeds extract may have a strong antibacterial and anti-inflammatory effect on the digestive systems. Studies have shown an extract made from them is effective at killing E COLI, Salmonella, Staphylococcus and other dangerous bacterial infections. Also, for kidney disorder, the aqueous seed extract of the unripe mature papaya fruit induces oxidative free radical search and antioxidant which helps kidney to recover. A papaya fruit contains papain, a protein-digesting enzyme, which is beneficial for people who have deficiency in gastric juice, dyspepsia, intestinal irritation. The papain in unripe papaya has anti-inflammatory property, which helps to soothe inflammation in people who suffer from osteoarthritis, piles, gout/uric acid, asthma. An unripe green papaya also contains vitamin A which helps to decrease the inflammation of the lungs, which is why it is considered helpful for active and passive smokers. When used on adult male langur monkeys, research shows that it has the unripe contraceptive ability and maybe it has close effect on adult males too. a) Boil 3 liters of water. 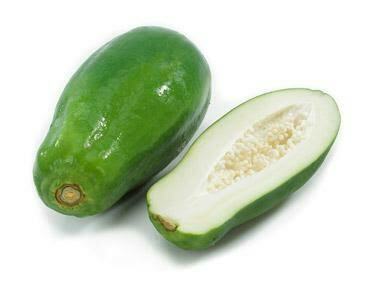 b) Wash a green papaya and remove the seeds & cut in small cubes (Dont remove the skin). c) Place it in water and continue boiling. d) Add at least 5 green tea bags and boil. e) Sieve the content and store the juice in a container. f) Drink it regularly so that it will heal the pain you are suffering from. a) Take 2 raw leaves of papaya. b) Take away the fibrous portions and the stems from the leaves. c) Now squeeze out the juice from the leaves. d) Directly consume the papaya leaf juice. e) Repeat that for another 2 times in the day. Papaya leaf juice also treat infections of the colon and intestinal worms by clearing the mucus and pus from it. You need to take it daily to heal quickly. That's all for the breakdown of the various parts. Pour all the above ingredients in a blender and blend until smooth. Then sieve the chaff and store the juice in a bottle. Drink regularly for best results. To make your own anti-cancer drink to help fight cancer, get beets (as much as you want) and papaya and blend till smooth, sieve and keep the juice to drink regularly. Mix all in a cup, apply on the affected skin, allow to dry or when your face starts to tighten; then wash off with cool water. Use this face mask 3 or 4 times a week for best results. Papaya tones, brightens and rejuvenates the skin. Mix the two together very well and apply on face 3-4 times a week. Blend the soft ripe papaya into a lump-free smash. Add the lemon juice and honey and mix it well. Apply the face mask onto your clean face and let it dry for 15 minutes. After that gently use warm water to loosen the face mask. Finally, rinse it off with cold water. Dry your face with a clean towel. Peel and whisk all ingredients in a blender until you get a smooth mash. 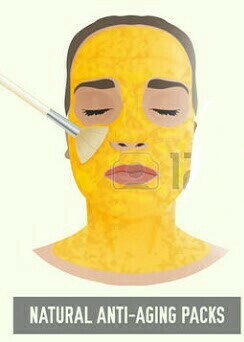 Coat the mixture onto your face, avoiding the sensitive areas like eyes and mouth. Let it stay for about 15 minutes. Use warm water to loosen the face mask. Then rinse off the mask with cold water. Make your face dry with a clean towel. Peel the papaya and whisk it into a smooth blend. In a small mixing bowl, beat an egg white until it turns foamy. Now add the papaya to the egg white and mix it well. Apply the mixture onto your face and let it dry for 15 minutes. To loosen the face mask, gently scrub it with warm water. Rinse it off with cold water to close pores. Well, that's it for now. I hope you'd make more use of your papaya not just for its taste!